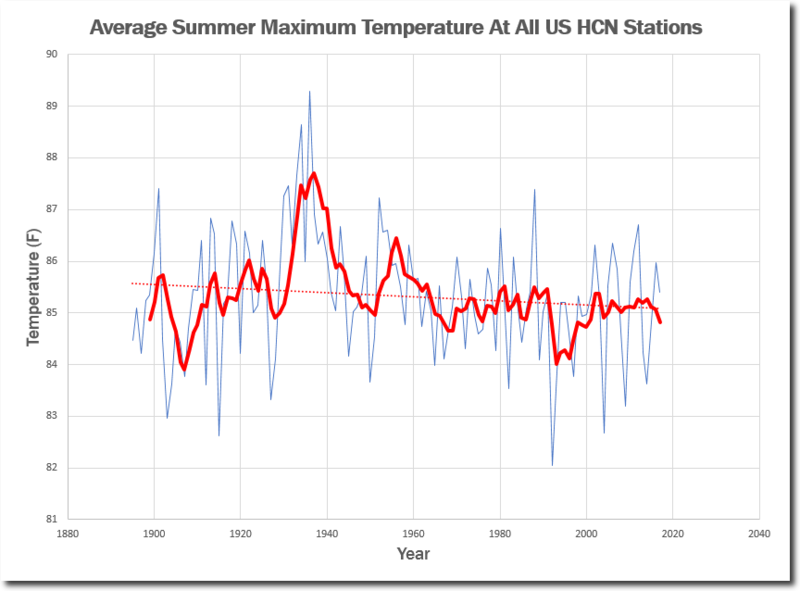 Every single metric shows that summer maximum temperatures are cooling in the US, and that heatwaves are becoming shorter, less intense and covering a smaller area. Climate scientists say the exact opposite of the data, because they are consultants being paid to push the global warming scam. The only global thing in global warming is the global tax which they want to start this way. Yes, it’s already here, Arn. Something like US$ 40 billion per year is already being confiscated, er uh, collected in the name of carbon taxes or cap and trade. Maybe somebody could verify/correct that figure. Just California alone already vacuums-up around $1 billion for cap & trade. The money is totally pissed away. Western society could use a little ice to wipe out this hoax of AGW and their aspirations for a one world gov’t. Unless something has interrupted the climate cycle that has been in effect for the last 400Kyr, the ice will come, sooner or later. The hoaxers will not quit until their funding stops. So they might still be announcing the hottest year ever within sight of a frozen Potomac in May. Since those paying the hoaxers also own the media, they will still get coverage. The open question is how many will still listen to them politely. Shhhhhhhhh! Other than a tornado the worst threat from the weather where I live is an ice storm. Several years ago I had to keep the fireplace going and a gasoline generator running for three days because an ice storm took out our power. One of these days I’ll get a transfer box and whole home automatic generator installed and it won’t be problem. Hope you’ve got copies of all the data for US HCN Tony. You know what’ll happen to it given half a chance…. Where is this analysis of the data published? I understand that the data is from the USHCN, but failed to find this analysis there or referenced in any journals. Can’t find a journal referenced above either. I was interested in the methodology used. Thanks, I will have a look. I also look forward to reading your paper when it’s published with the methodology used in processing the USHCN data. This comment got me thinking. I get an electric bill every month. I think I’m going to tell PGE I’m not paying until I see the paper published on how they are processing the raw data collected from my meter. After all, in the absence of a peer reviewed discussion of how the varying rate elements are applied to the meter data, how can I be sure they are using the correct order of operations? Are they invoking the commutative property of multiplication? Who can I be sure? They could just be pulling it out of their A$$. I presume PGE bill you in direct proportion to energy transferred plus a standing charge. I’d guess the bill includes the price per unit so checking is a simple matter. If you doubt the accuracy of your meter it would be easy enough to check with another meter. The USHCN tables consist of hundreds of thousands of lines of data from thousands of stations. There are missing data and data that is not directly comparable. Analysis requires computer algorithms to make the task manageable. Two very different situations. The problem is that 100 coders could write algorithms to process the data and come up with 100 different results. How do we choose between them? We start with those who reveal their reasoning and methodology behind their hard work. There is as you know much discussion in climate science about the validity of models and the assumptions used. “Read the code and work it out for yourself” would not be an acceptable standpoint for anyone. The “100 coders” problem is one reason sticking with the raw data and wide error bars would be a best-practices approach. The unilateral “adjustment” of the data with contrasting it to the raw data, which is common practice in NOAA and GISS, means that the authors of various analyses can present adjusted data, a vague statement in a weak, pale, diluted imitation of a methodology about presumed data collection biases, and then their “conclusions.” They can feel safe in the expectation that very few readers will want the real details and full blown explanation of the assumptions (the real methodology proper). I been in science for going on 40 years now and an actual discussion of methodology has been one of the critical casualties of post-normal science. when will you try reproducing his work? Skeptical Science site, is not going to work here. Without any documentation for the programming or explanation of the methodology, why should I? I’m more interested in the methodology and really don’t doubt that by punching the same requests in, the same charts will come out. Duster, there are plenty of reasons why weather data taken over nearly 150 years are not going to be consistent. It is quite reasonable to take account of these inconsistencies and make adjustments, and there is plenty of discussion regarding the methodologies. Why are you bemoaning a lack of discussion on methodology when your author of the charts above gives none? Tony is the one doing the analyzing. If your up to it you can check his source numbers and do your own analysis to confirm or try to refute his. He makes it possible by providing the data and code. But in the several years I have been reading and posting at this site I can’t recall anyone that has actually done that and come back and challenged Tony’s analysis by doing their own analysis based on the data he is using and showing their work to refute what Tony has posted. Sure , minor discrepancies here and there, but generally a very close match. I trust his work, because I have done verifications over the years. For many decades, I have been reading Monthly Weather Reviews and State Climatic Summaries at the NOAA Library in Silver Spring. MD. Just as a hobby and an avocation, not even with global warming or climate change in mind. From that data, I was able to co-author “Washington Weather” a sourcebook for DC weather history. I can vouch that Tony’s charts match my own imperical observations of the actual paper records from long ago. Just to put things into perspective, Tony gets no tax dollars for his work (and no money from corporate sponsors), yet he makes his source code freely available. Folks like Gavin and Hansen and Mann are paid directly or indirectly through our tax dollars, yet they refuse to share what we have paid for. 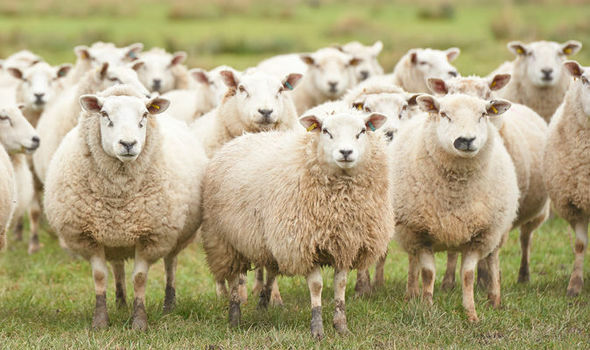 Furthermore they use government computers to send and receive emails during government paid time, yet they refuse to allow anyone to see their emails. Something in all this stinks, and it surely isn’t Tony. adjusted? I’m assuming they are the raw data. Thanks. 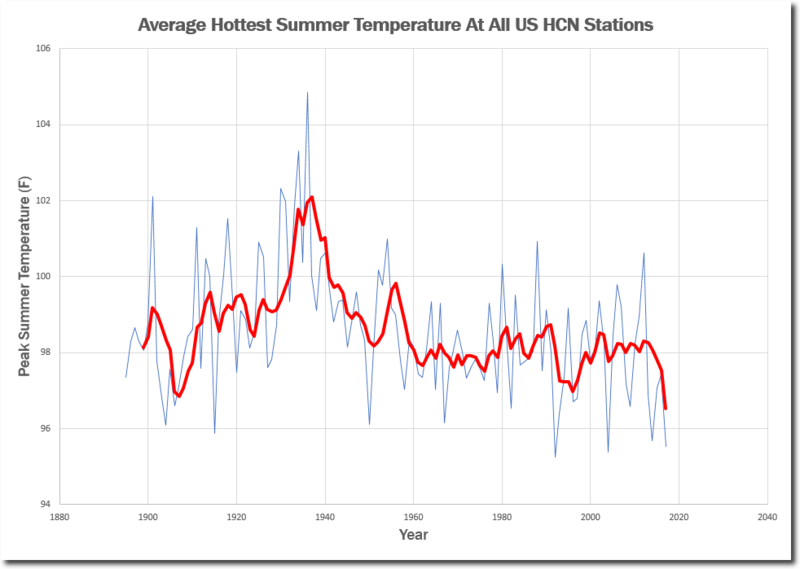 The raw data shows a rise in temperatures. Some adjustment is necessary and needs to be justified. That just is not true! please post a link to the raw data you are referring to? Some detail on the methodology there too. Tony, gave you the link to the source for it,yet you refer to the most misleading warmist site on the net. You are here to create fog. 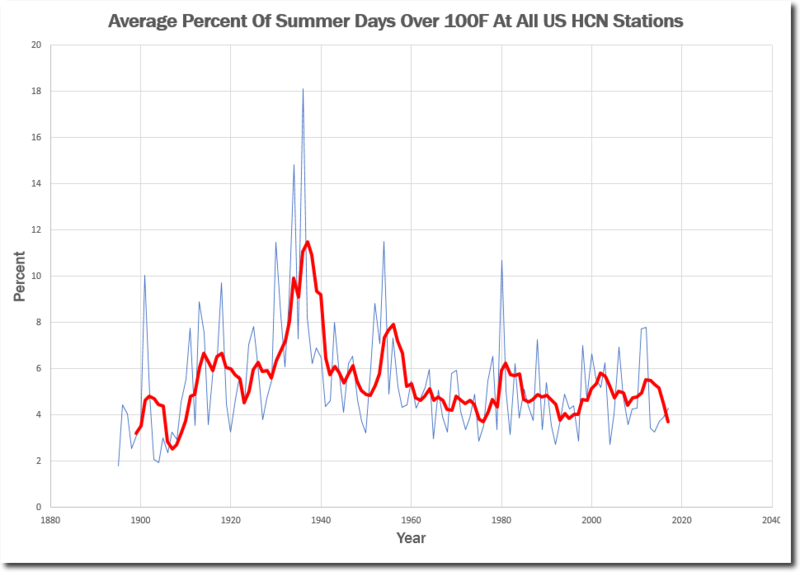 Claim: US summers are growing cooler. First Thought: The US makes up about 2% of the surface of the planet, so the observation, if true, would bear little value on AGW overall. 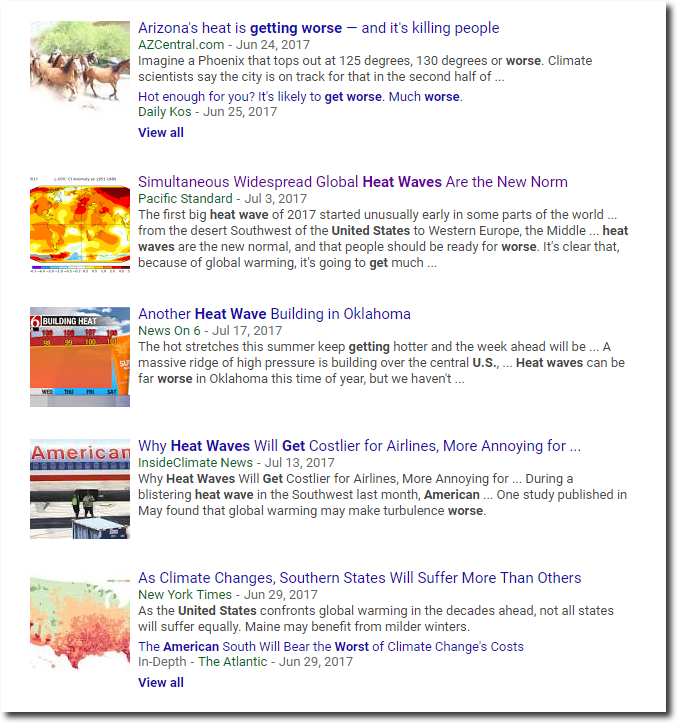 Second Thought: The news stories you cited do not support your claim: Phoenix is getting hotter; Oklahoma is getting hotter; some states will get hotter faster than others; global heat waves are becoming the norm; etc. Third Thought: Why does anybody listen to this drivel? You should have stopped at your first random thought bubble. and you just fell off the cliff from that point !! Stop digging.. you look like a FOOL !!! Try to read and think at the same time,next time. 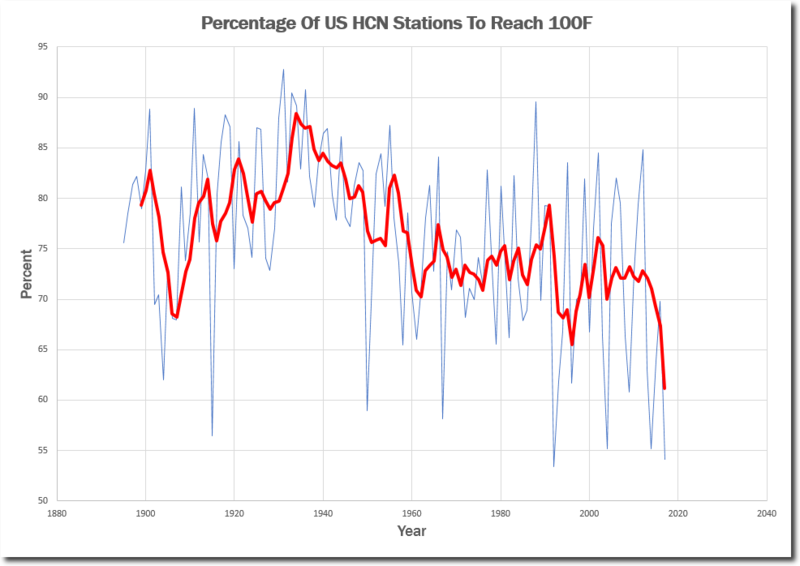 Recently I’ve noticed many Accu.com forecasts claiming “extreme heat” are “near record breaking” and also siting their 1930s-40’s record to beat. It must be 80% or more of the time it does not even tie or break. Luckily the are weekly forecasts and they never have to track back and describe the errors in temperature forecasting they gave the week before. Their models are working horribly to trash input, me thinks? Does anyone lnow whete I can find peer reveiwed charts showing the temperstures dropping around the globe? I am trying to convince my friends of this hosx and they ate asking for this.